Caption - Spanish Railways (RENFE) 4-6-2 231.2022 prepares to depart from Utrera for Seville in October 1965. 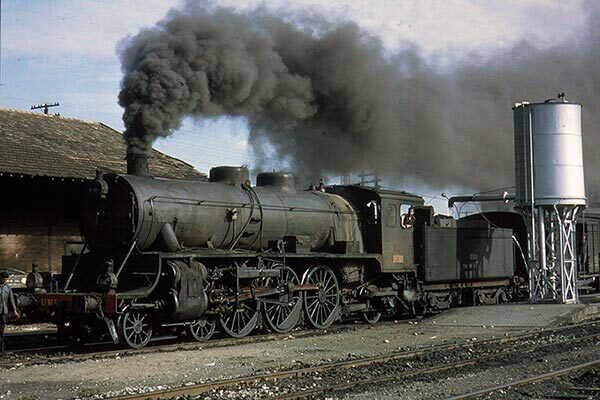 This class of 15 locos were ordered by the MZA which was absorbed into the nationalised system. The whole class were built Alco during April 1920 for working lightweight express passenger services. One of the class was destroyed during the Spanish Civil War.